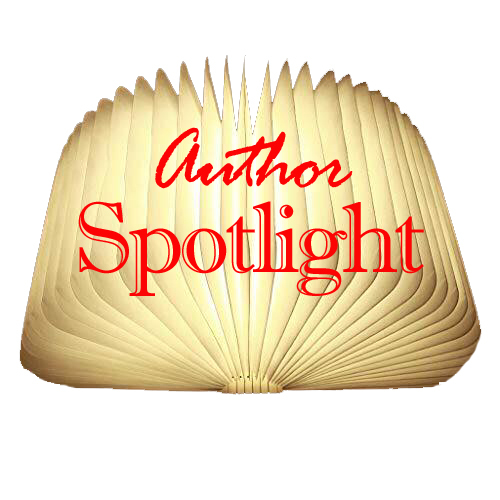 The featured author this week is another good friend of mine who also happens to enjoy writing. We have worked collaboratively on recent projects for each other, serving as brainstormers, sounding boards, beta readers, proofreaders, editors, and just about any other role you could assign to somebody without them actually co-writing your project. 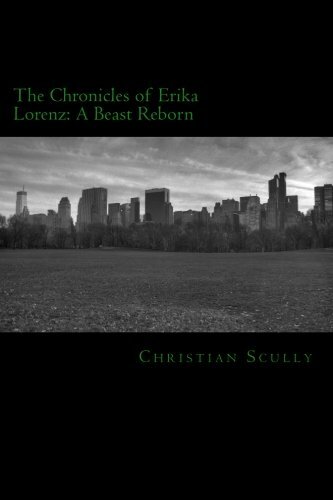 His ongoing series, The Chronicles of Erika Lorenz, is a fresh take on vampires and puts a really interesting twist to that timeless lore. I also get caught up in the situations he creates for his characters. He’s always really supportive and encouraging to me, and I’m glad to get to work with him whenever an idea comes to mind. Before we get to the interview, I’ll let Chris share a little bit about himself. How important is research to you when writing a story? Research is very important for me. I’ll spend months looking into various ideas for each book. How particular are you with spelling, grammar, etc? Do things have to be perfect from the beginning, or are you more worried about getting the idea on paper, then leave the proofreading to the editing process? I usually leave spelling and grammar to the editing process. It helps me more to get the ideas down first and then work them out. 2012. I was actually writing my first novel as a way to turn it into a film, but the more I worked on it the more I realized I wanted it to be a book instead. Music, television shows, movies, anything really. It’s easier now that I’ve worked out the world I want to write in, but even before that I was taking inspiration and idea points from everything I could get my hands on. How often do you write, and how long is a typical writing session? With my job it’s difficult to keep to a set schedule, but I try for 2-3 times a week. My writing sessions vary from 1 to 3 hours usually. Do you write for a certain time period, or do you set a word count and write until you reach that goal? To be honest I try to get my full idea on paper at the time I come up with it. Word counts and time are important, but I get distracted too easily and noticed that if I worry about those it shows in my writing. So I tend to just write everything that I can until the full idea is down on paper and then end. Sometimes that’s 3 hours of no blinking and writing at the screen and others it’s a single sentence. Not the best process I know. Do you outline an entire plot, or have a few highlights in mind then let the action dictate the rest of the story? I highlight the main points I want to hit and then let my characters and the story take over from there. It keeps the details interesting for me as well. What do you think is the hardest thing about writing? Mentally, it would have to be what I call “connecting the dots.” When I know where I want to go and where I have been in the story, but have no clue how to get my characters there. Physically, it’s not appearing like a psychopath when researching a topic or watching people. What is the easiest part of writing for you? The outline or coming up with overall plot is usually the easiest for me. What are your thoughts on “writers block?” Do you think it’s a real thing? If so, how long does it usually last and what methods do you use to get past it? Writer’s block is definitely a real thing. Personally, it can last from a week or two up to a few months. It’s really draining on my writing process and motivation. To get over it, I usually have a playlist of songs I feel my characters would listen to. Just getting into their head seems to help usually. What do you like to read (genre, titles) and who are your favorite authors? If you took the chance to rewrite one of your books, which one would it be and why? 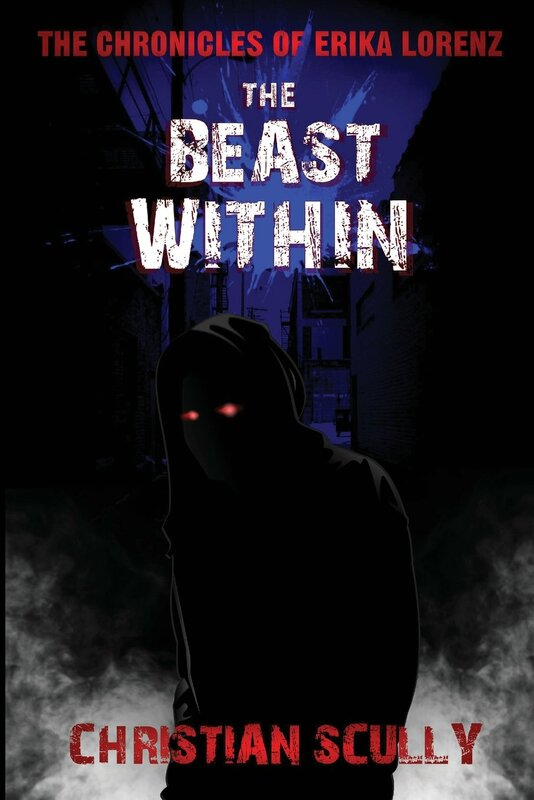 I would rewrite my first book, A Beast Within. There were a lot of issues I had with editing and explaining certain situations in it. I’d like to revisit it someday and expand on those. Any advice you’d like to give your younger self? Any advice you’d like to give to aspiring authors? Just tell your story. The entire process can be very demotivating. I used to find myself questioning whether my world was detailed enough or whether my characters were interesting enough. To add to it, trying to find a publisher can really deteriorate your mental drive. Just slow down and focus on your story and don’t let those negative comments (mental or otherwise) interfere with you telling your story. Do you read any of your own work? If so, are you a harsh critic, or do you get wrapped up in the story? I can be a very harsh critic of my own work and don’t really read any of it anymore. With my first book I had a bunch of people tell me how amazing it was and how much they liked it, but when I tried to read it all I could see were things I had missed. Have you ever incorporated something that happened to you in real life into any of your stories? Not really. I’ve added my own personality to certain characters and had them respond to situations the way I would, but no events or anything like that. What are you currently working on/What’s your next project? I’m working on Immortal Rage. It follows Sasha Draig on her journey to understand herself while seeking the help of the strongest Sanguins in the world. How many ideas do you have at the moment for other stories? Not that many. I’ve become more focused on one story at a time lately. Do you have a day job other than being a writer? If so, what is it and which do you prefer? I work in the Air Force as an IT professional. I don’t really prefer one over the other currently. They both have their ups and downs. I think so. Being a writer is a lot like anything really. It just takes dedication and understanding that you won’t be the best or wealthy right from the start. It takes a lot of hard work and personal dedication to write, but anyone is capable. Which of your books would you most like to see adapted into a motion picture? Probably the one I am currently working on. Don’t want to give anything away, but I think the story is more inclined for a motion picture setting than any of my other books. Are you involved in marketing your books? If so, what are your favorite tips/tricks? Yes. I utilize a lot of online resources. A tip I use most often is to post a few chapters on writer’s forums and generate interest there before removing them and letting everyone know the books are out. Also, setting up author pages everywhere you can is helpful. Have you ever worked with other writers on any of your projects? Of course! The best editors are other writers. It’s also good to have some one else to bounce ideas off and get constructive critique from. A lot of people who don’t write may say your story is “good” or “bad,” but another writer will break everything down for you to help rather than use a blanket statement. What’s free time? Haha. I like hanging out with my kids, playing video games, or basketball. I had a small party with some friends at a local pub. What kind of mementos do you have in honor of your published works? Have you ever abandoned a manuscript for any reason and not proceeded with publishing? Yes. A few in fact. Mostly because they weren’t full stories. They were just snippets thrown together. I found other uses for those in my published works though. Have you received any awards for any of your literary works? Not yet, but there’s always my next book. Do you need silence to write, or do you prefer some background noise? If you need noise, what is your preference? I need something in the background. Usually music helps me write. Where did you do your first book signing? Still working on that. The Air Force doesn’t give much time for book signings unfortunately, but I’m hoping to have one for Immortal Rage when it’s finished. Did you ever consider writing under a pseudonym? Why or why not? I think every writer at least considers it. I chose not to because I wanted to see my name on the book, personally. Is your goal to offer a unique writing style, or to provide a more conventional story that readers are more geared towards? mechanical nature of the book. So, I just quit trying those and went for a more conventional style. What is the best purchase you’ve made as a writer? A new laptop. Most of my writing is done on a computer. Who’s your favorite author that nobody knows about? It’s a tie. Carrie Vaughn and Charles Kelley. With Carrie’s work I really like how she is able to draw the reader in even during the mundane scenes. Charles paints his locations so well I tend to fall into the story and forget it’s just a book most of the time. Names are difficult for me. I usually jot something down as a placeholder and then work it out as the story goes. Just focus on what feels right for the character’s personality. Have you ever Googled yourself? What was your reaction to the results? I have! I was a little shocked to find that someone else with my name was mugged in Ireland mostly. Other than that it was good to see my books all pop up at the top of the page. How can fans reach/find/follow/contact etc? Instagram currently. My username is christian.scully77. I’m working on a few other places, but haven’t finished them just yet. Thanks to Chris for answering my questions! I really enjoy collaborating with him and was excited when he agreed to participate in this series. Now go check out his work! His books can be found on Amazon here and here.